Art classes are taken by all elementary grades, and are offered as an elective for middle and high school students. Art projects are showcased at the CCCS Evening of the Arts event near the end of the school year. A summer art camp for second through seventh grade students is also offered by our art teacher in July. 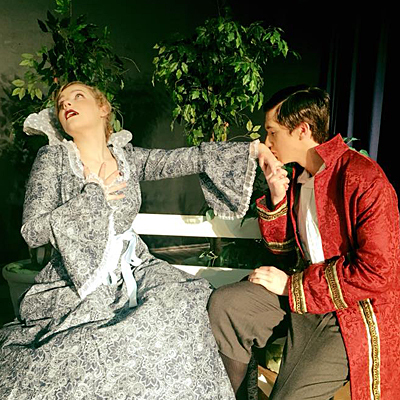 Seventh through twelfth grade students in the CCCS drama department present a musical production each spring. Past productions have included Singin' in the Rain, Peter Pan, The Music Man, Oklahoma, and Annie. Music classes are taken by all elementary grades. Choir is offered as an elective for middle and high school students. Christmas and spring concerts are held to showcase CCCS students' talents for the public's enjoyment. A student Praise Band leads worship during the middle and high school chapel, and provides the opportunity for students to play guitar, bass, keyboard, and drums. PE classes are taken by all elementary grades, and are offered as an elective for middle and high school students. Learn more about our athletic department. Elected middle school and high school students serve on CCCS student councils. The councils organize Field Day events at the end of the school year for elementary grades, as well as other activities throughout the year.